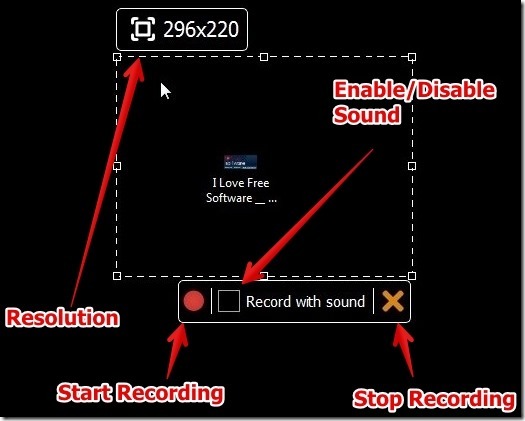 Srecorder is free software to record selected part of desktop screen. Why I really like Srecorder is because you can select the area for recording just by simple mouse drag, then start recording instantly. I found it very easy to use. Along with the recording feature Srecorder offers you history log. 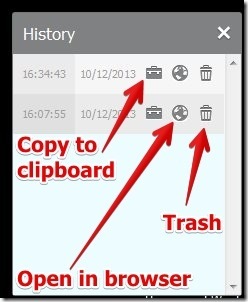 History log lets you view the file on Srecorder’s website using your web browser. That is, you can play your video in your web browser. Since the video is played through Srecorder website in your browser, therefore you need to upload it first (upload option is available after recording is complete). Also, you require to have an internet connection to play the video in your browser. I have tested Srecorder for recording the desktop screen in Windows 7 and I was able to record my desktop screen for different resolutions. Below I have posted small clip that shows recording of part of desktop screen. Srecorder is really simple to use. After you install Srecorder, you can get started by using the shortcut button on the desktop or you can just double click Srecorder from Start –> All programs –> Srecorder. You will be prompted to select the area to record the screen. I really like the interface to record desktop as you can use your mouse to drag the edges to select the area for recording. I have mentioned about History Option in the beginning of the article. You can access this option from the System tray. In this option you can copy to clipboard, view the video on web browser, and you can trash the video. However, while copying the video, I could only copy the video to the clipboard. I did not get any links for the same, which I did not like. Note that the desktop recording is in .MP4 format. That is, the file that you get after recording is in MP4 format only. Also, you have to manually save your files after the recording is finished. The other features like sharing the file using the Srecorder servers and option to share the video on Facebook, Twitter, and Google + did not work for me. Desktop shortcut button. The desktop shortcut button can be moved placed on any edge of the screen. Option to enable/disable the sound. Option to view the files through History. Option to save the file anywhere on the computer. Option to enable or disable sound. You might also want to try another free similar software SM Recorder and KahlownLite. 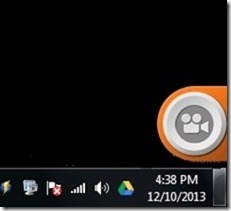 Srecorder is great free software to record part of desktop screen and is very simple to use. You can get started with Srecorder very easily. 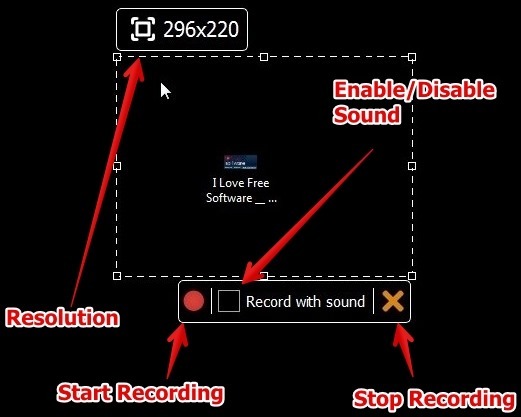 Desktop screen recording can be done just by one single click (using the shortcut on desktop). However, the option to upload the recorded video to Srecorder Servers and share with friends using the link did not work for me. Overall, Srecorder is worth trying.